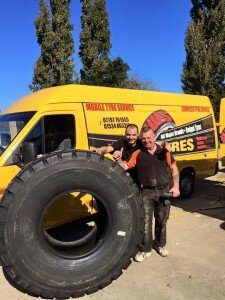 We have a mobile tyre service available for emergencies. If you do call to use our mobile tyre fitting service, please have your tyre details to hand to help us source an appropriate replacement. See our tyre guide to find out how to get the details you need. Tyre fitting requires specialised equipment, and we have the best equipment on the market. Our technicians are experts on the job and follow all safety requirements. We can handle almost any problems encountered, and our vans are specially fitted with the equipment, tools and tyre technicians to perform the demanding task of getting you back on the road. They really are a mobile tyre shop on wheels.